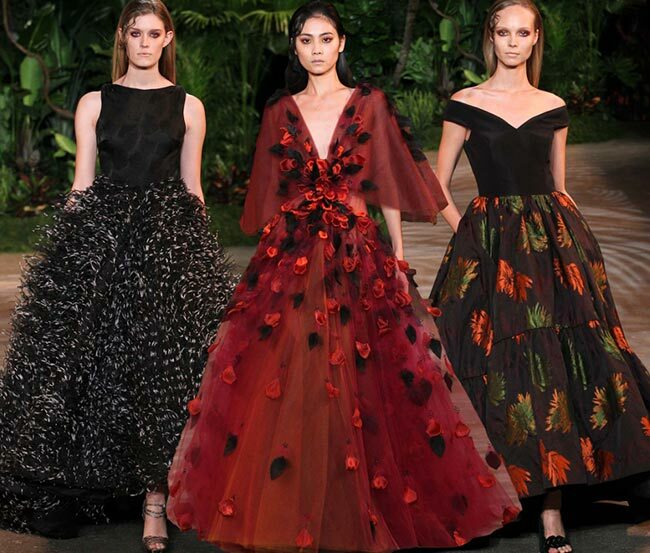 The incredibly talented Christian Siriano had us all captivated with his beautiful Christian Siriano fall/winter 2015-2016 rtw show put on during the New York Fashion Week. The American fashion designer came to be in a rather newly untraditional manner, through winning the fourth season of Project Runway, officially becoming the youngest designer ever to take home that title. 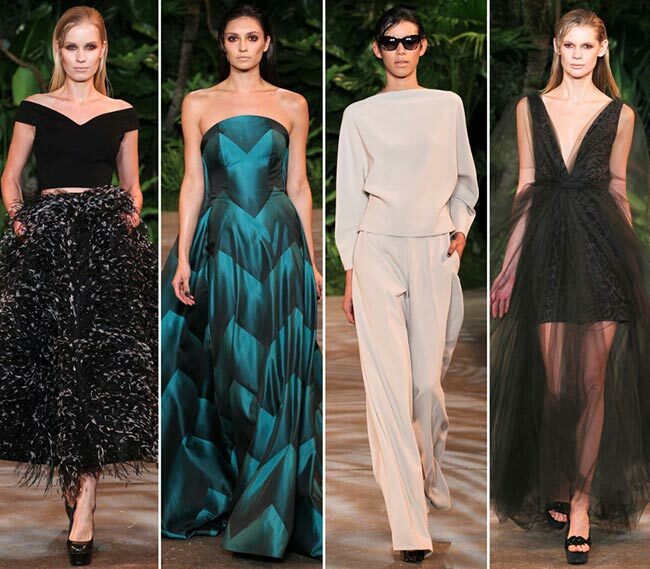 At 29 years old now, we know that Siriano has a grand future in the industry ahead of him. After all, he did grow from being the “musical theatre kid who loved costumes’ into the multi-million dollar worth professional he is today. With the type of praises that Victoria Beckham has showered on the aspiring artist, it is quite clear how the Christian Siriano name has become such a common utterance in the world of fashion. The first collection presented on the New York Fashion Week runway was back in 2008; ever since then, his works have become a staple on the catwalk, something we all look forwards to as each new season comes along. This year, we are equally as happy to see Siriano make his appearance once again, knowing full well that despite most designers sticking to darker, bleaker coloring, this is one bright mind who brings a breath of fresh air to the runway and ensures there is never any shortage of color to be seen in his collections. The Congo rainforest is Siriano’s inspiration and the patterns and texture included in the collection are simply irresistible. There are many black coats on the market, so what Siriano offers is something his client hasn’t seen before, something full of animal spirit and fancy designs. We’re talking tiger cashmere and flouncy zebra crepe, fuzzy alpaca and cozy camel. 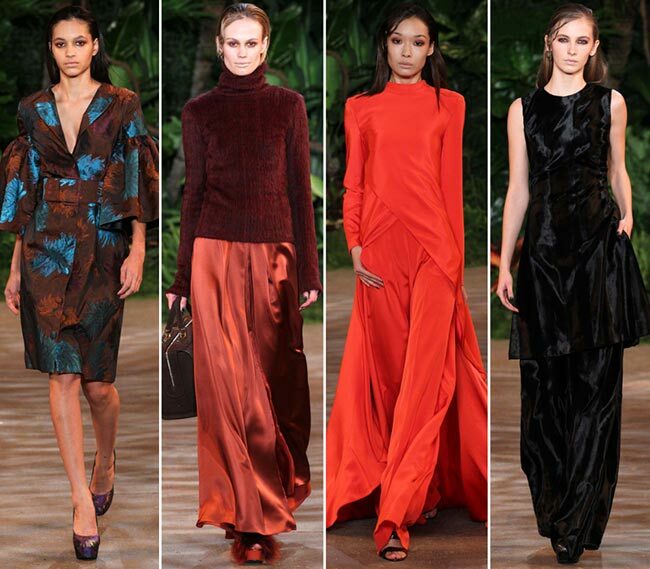 Sheath dresses and turtlenecks, topcoats and eveningwear enter the equation. 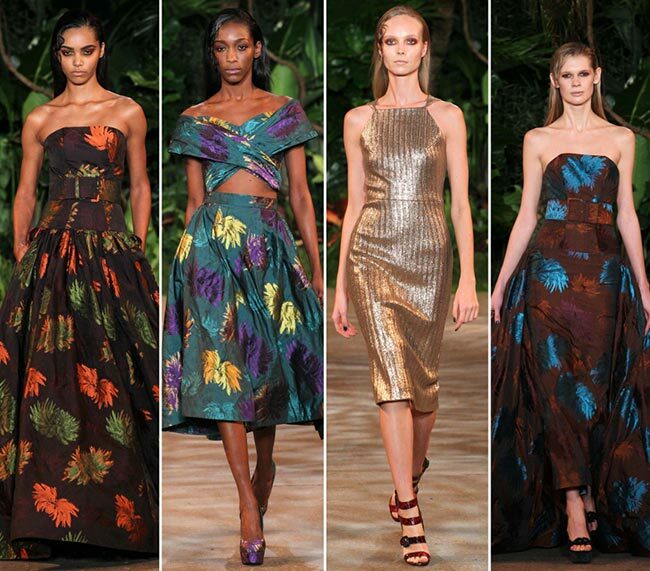 Twin sets are in for 2015 and Christian Siriano does not shy away from including much from the latest trends, particularly the crop top and full skirt set. Bell sleeves also seem to be a thing on the runway for the fall/winter 2015-2016 seasons, while belted coats, particularly in blue and brown hues are a common sighting. Since the inspiration is from the animal world, the ostrich feathers do not seem out of place either, instead captivating the onlookers as the models sashayed down the runway in the black and white numbers. It’s certainly nice to see 47 different outfits presented as well, with a big thumbs up for the youthful but vibrant fashion designer that has been the creative mind behind his eponymous label. Knee-lengths and full skirts falling to the floor dominated the Christian Siriano fall/winter 2015-2016 collection, with A-line pleated full gowns ending the show with flair. Strapless numbers and off the shoulder designs appear throughout, while we are graced with some of the loveliest colorings on the catwalk for the Fashion Week yet. The reds and the copper, the metallic and the white, the blue and the green and all the rest just really create the illusion of summer giving way to fall and then the gloom of that turning into the bright snowy days of winter. 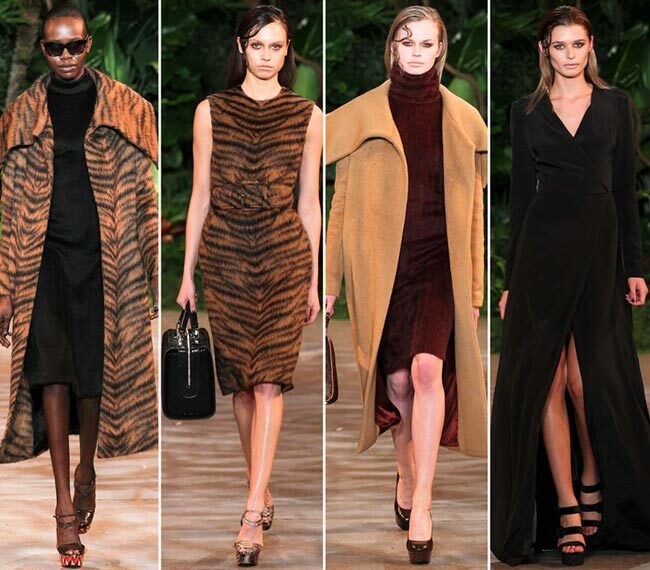 Plus, if you want animal prints, there is no better collection to look for it in than Christian Siriano’s fall/winter 2015-2016 line-up.